Yoga mats are a necessary part of your time in the studio, but when you buy a yoga mat, it's important to find one that works for you. 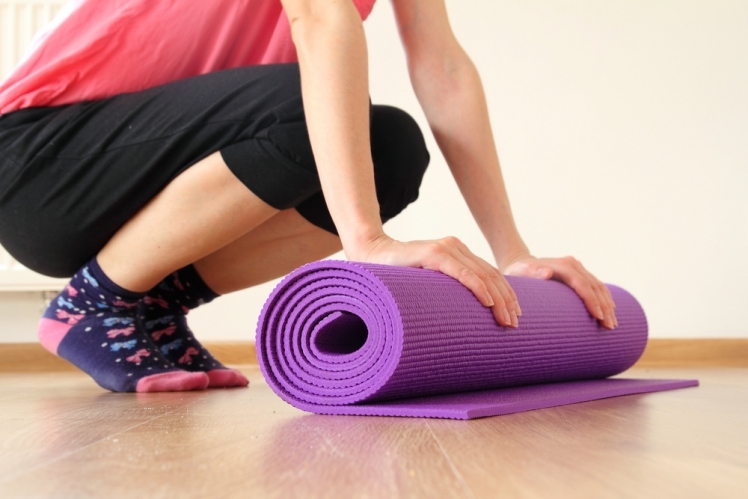 The selection of yoga mats can be overwhelming, and this guide can help take the guesswork out. When you're in a yoga mat shop, the sheer number of choices can make the decision a tough one. Even looking at wholesale yoga mats can make it hard to find what you need. A good yoga mat buy takes the material into consideration. Most yoga mats are constructed of rubber or PVC, either of which helps you get a good grip with your feet when you're using your yoga mat for the various poses in your routine. Because these materials are also slightly sticky, they ensure that you don't slip and slide around, particularly when doing hot yoga. Some mats are coated on polyurethane, which enhances your grip even more. If you prefer a lot of seated poses, you might prefer a natural mat made of jute or other recycled materials because they are comfortable and better for you and the environment. Yoga mats wholesale often give you more options than a specialized store that only has a couple of choices. If this isn't an option, look for a yoga mat discount in stores or online so you can purchase a quality mat for less. Yoga mats usually feature some sort of texture. It's partly to make it easier to grip the mat with your feet and hands as you progress through your poses. However, you might prefer a smoother surface than others or you might like the feeling of a more thickly textured yoga mat. Yoga mats wholesale are generally a good way to find exactly what you need when it comes to all factors of a yoga mat, including the texture. Experts say that mats with a lot of texture will collect more grime and bacteria and will likely need to be cleaned more often than a smooth mat without a lot of texture. When you buy a yoga mat, be sure you feel it to make sure the texture is something you can live with. If you really want to assess the thickness of your yoga mat, a headstand is the ideal way to determine if it's right for you or not. Other poses won't require as much padding, but you want to be prepared for whatever your routine holds in store for you. If you often do moves that press down into the mat, you will probably be better off choosing one that has plenty of thickness so it's comfortable to use and helps reduce the risk of injury. A good amount of cushion also gives you traction and assists in proper balance while you're practicing yoga. The best way to figure out what thickness is best for you is to test out a few different mats. It should become clear pretty quickly which one works best for you. While less important than the other factors of choosing a yoga mat, the color and design definitely matters. A yoga mat shop or wholesale yoga mats online are great ways to open up your options. Look for a yoga mat discount if you want to save some money and aren't too concerned with the way your yoga mat looks. The best thing about choosing a color and design for your yoga mat is that it allows you to express yourself while you're in the studio and gives you something you enjoy looking at. A great yoga mat buy is one that makes you happy when you see it, but that also meets the other criteria and fits within your budget. When you buy a yoga mat, the looks of it aren't the most important thing, but they might just be the most enjoyable.